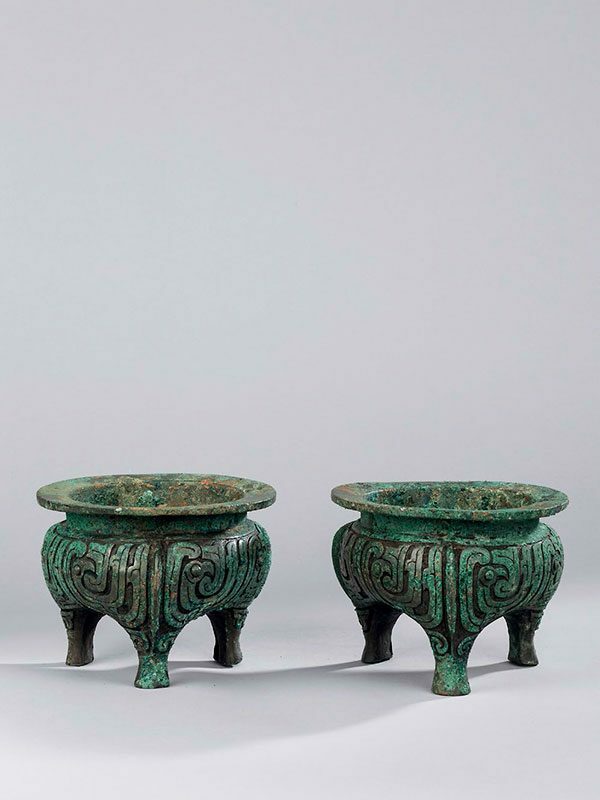 A pair of bronze ritual tripod vessels, li, each with a squat circular body supported on three short, slightly splayed cabriole legs. The short, straight neck terminates into a widely everted flat rim. 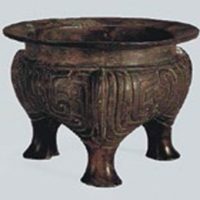 The rounded body is divided by three vertical flanges and decorated on each side in a low-relief pattern with two stylised bird motifs, with a sharp beak and a bulging eye. A vertical mould mark runs from the everted lip through each flange and continues down the outer surface of the leg below. 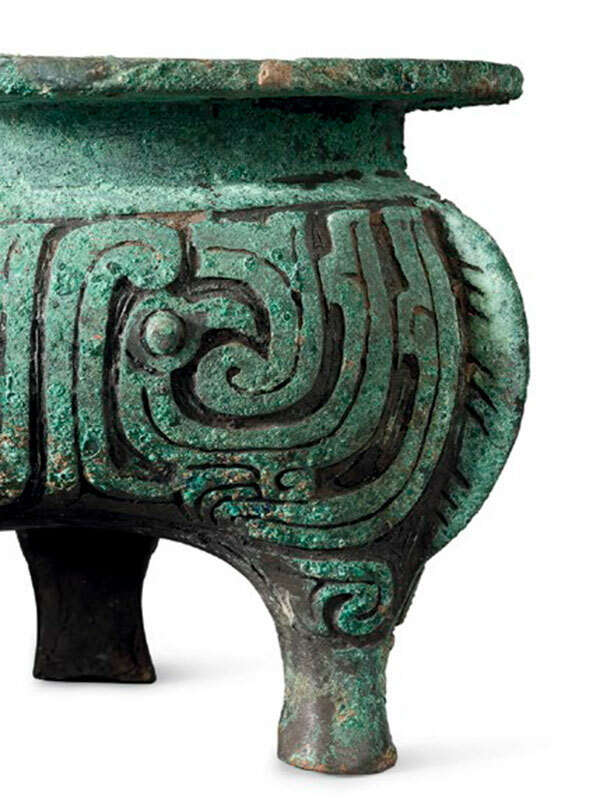 The vessel has a brilliant blue and subtle grey-green patina overall.